While at Saint Mary’s Julian Allen majored in Social Psychology, minored in Business Administration and graduated in fall of 2016. He aspires to continue his graduate studies in Industrial Organizational Psychology in a graduate program. He was the co-captain of the Saint Mary’s Men’s water polo team and received leadership recognition for his sportsmanship, dedication, and character. Julian was born in Toronto, Canada but from the age of 8 weeks until his 10th grade of high school lived in San Jose del Cabo, Mexico. His involvement included the Psychology Club, president of the Psi Chi Honors Society, the SMC Honors Program, and the Dean’s Undergraduate Student Advisory Board for the School of Business Administration and Economics. A native of Santa Rosa, Alex Drake came to Saint Mary's College by way of Cardinal Newman High School. Interested in world markets and how the economy affects his surroundings, Drake chose to pursue a degree in Economics. While attending Saint Mary's Drake was an active member of his community by serving as a class senator as well as a Resident Advisor. Along with his involvement in the community, Drake was a proud member of the back-to-back national championship winning rugby team. Franchesca graduated with a degree in General Psychology. Her interests included writing, painting, sketching, and playing video games. During her time at Saint Mary’s Franchesca was Assistant Instructor for Galileo Innovation Camps. She was also a Special Events Coordinators for the on campus diversity club, APASA. Franchesca strengthened her skill sets while working at Galileo; she has acquired more knowledge and use of power tools, circuit wiring, video game designing, and renewed her passion for painting. She learned many lessons and is eager to use her knowledge to see herself grow even more. Cody graduated with a degree in Accounting (primary) and Politics (secondary) split major with a double major in Philosophy. His interests included accounting and philosophy, and sports. Some of his accomplishments included leading a group of students to a successful conference competition (19 students, 23 medals) in his capacity as Business Club President. He also completed a financial services internship at Ernst & Young. Daniel Ripple graduated with a split Physics/Chemistry degree. He is interested in biomedical engineering, nuclear engineering, and the business aspects of those fields. He has had several leadership positions at Saint Mary’s including as president, then vice president, of Enactus, and aquatics coordinator for the Alioto Recreation Center. Daniel enjoys mixing science and business and applying it to the real world. He is also very comfortable working with teams of people, whether it be leading a group or working as an equal to others. Nicholas Ahn pursued a B.S. in Economics. At Saint Mary’s he was a presidential scholar. Nicholas is obsessed with fantasy football and enjoys playing basketball in his free time. He hopes to enter the world of finance. During her time at Saint Mary’s, Kimberlea Buczeke worked as an intern at Sunrun working on public policy. Kimberlea assisted the team in protecting consumer energy choice through the establishment of policies for distributed generation. As well as being passionate about the environment and social responsibility, she also spent time volunteering for a local classic car club and teaching children and adults how to paint. Daniela del Pinal graduated with a degree in Business Administration with a concentration in finance. Daniela made the Dean’s List every semester since starting at Saint Mary’s. Her first major professional accomplishment was while working at a physical therapy clinic as a medical receptionist. Daniela began as a file clerk but was promoted three times over the course of three years to manage a four person team as senior medical receptionist. As a member of Enactus she was elected executive of finance and accounting, and later to vice president. One interesting fact about Daniela is that she is a mother to a three-year-old girl named Paulina. Andrew Nguyen was Integral Major. 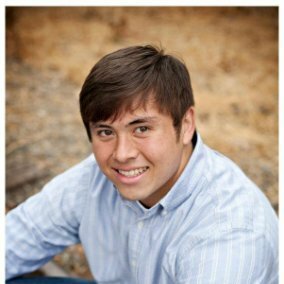 He is from Mountain View, CA and has been an active member of the Saint Mary's community. His many leadership roles on campus included being a Resident Advisor in Claeys South Hall, an Intercultural Development Leader, and the co-chair for Asian Cultural Night. Andrew has a passion for philosophy and learning, which keeps him constantly asking questions about life. In his spare time, he enjoys the exploring the outdoors through photography and traveling. Leslie Anne Salvador was the first Asian American female president of the undergraduate students and graduated with a degree in Accounting. Even though she was an accounting major, she did not want to be an accountant. Instead she wants to apply her education to a lifelong career of public service. Leslie Anne believes that she can make a difference. 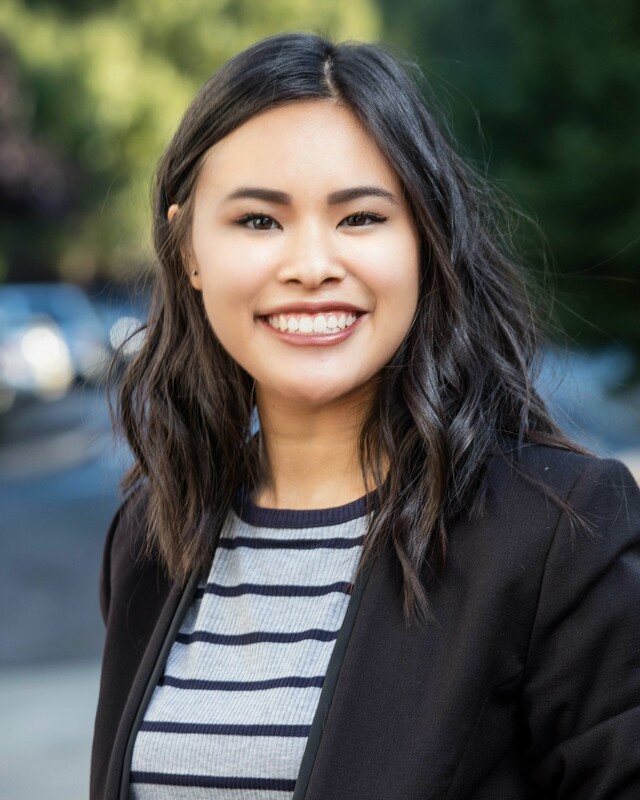 Colleen Tanaka is from Gilroy, CA and majored in Communication and minored in Business Administration. She was a member of various groups on campus such as the American Marketing Association, Business Club, Communication Club, and Habitat for Humanity. Currently. While at Saint Mary’s she interned at an advertising agency in Lafayette, CA. Colleen finds various aspects of the business industry to be interesting and is opened minded to all of them, especially in specific areas of marketing, advertising, public relations, and human resources. She enjoyed her experience at Saint Mary’s College and in the Guyette Leadership Fellows Program. 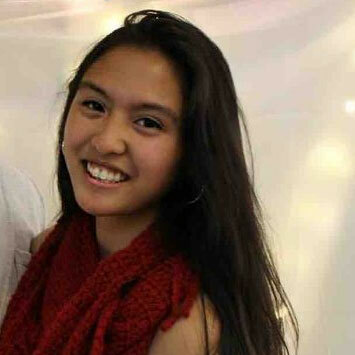 Sierra Nguyen is a senior majoring in Sociology and double minoring in Chemistry and Art Theory and Criticism. She became interested in art criticism after studying the cross-pollinating relationship between the production and critical function of art in society. She has experience in both the art and science fields, holding positions as a programmer intern for the Mill Valley Film Festival, a co-curator for the experimental film exhibition, Surplus|Lack, and currently studies riboswitch activity in bacteria as a biochemistry researcher. After graduating in 2018, she hopes to continue her studies in Critical Theory and Art and eventually become a museum curator for modern and contemporary art. When she isn’t busy reading poetry and feminist thought, she enjoys cooking, hiking, and learning the rules to new board games. She is currently on a quest to perfect her grilled cheese sandwich, but has yet to find a bakery that offers porous yet chewy sourdough. Kristin Perez is a senior at Saint Mary’s College of California. She is majoring in Business Administration with a concentration in Marketing. Kristin has been an active member of our Saint Mary’s College community. 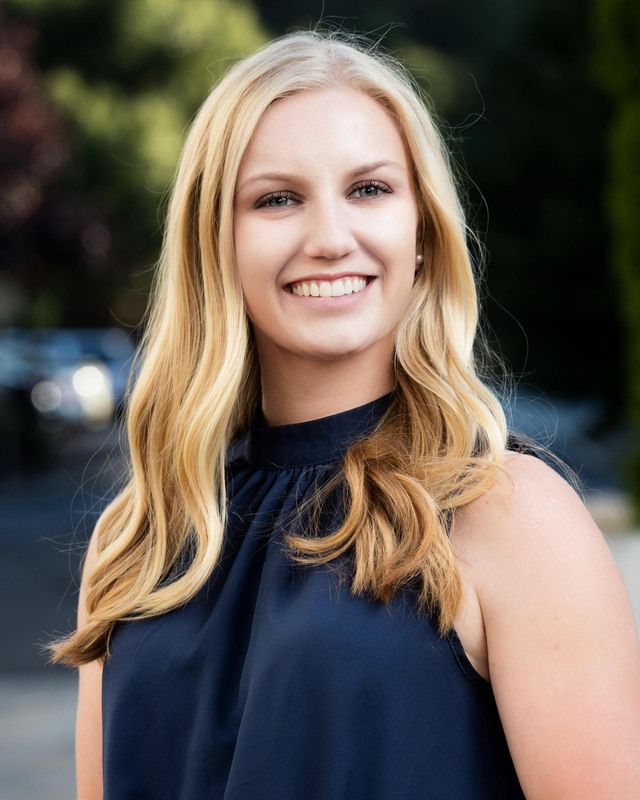 She is President of the Saint Mary’s chapter of American Marketing Association which hosts Networking Nights to have Bay Area businesses meet with students providing them with opportunities for internships as well as build connections with business professionals. Fall 2016 Kristin was recognized for her marketing skills, and was brought onto Saint Mary’s Enactus Organization as their Team Lead in Marketing. Enactus is an organization focused on social justice through entrepreneurial action. She now serves as their Vice President in Marketing and Recruiting. Kristin has also served on the Dean’s Undergraduate Student Advisory Board for the School of Economics and Business Administration. She volunteers her time each year for Weekend of Welcome to be an Orientation Leader for incoming freshmen. She loves sharing her enthusiasm for Saint Mary’s with the incoming class to better transition them for their four years. Kristin also volunteers with Relay for Life, she has been a team captain for three consecutive years. Kristin wants to continue her passion for marketing in the business world. She hopes to pursue a career in Entertainment Marketing or as an Outreach Event Coordinator. Rachel is a senior at Saint Mary’s College. She is studying Business Administration with a double concentration in Marketing and Digital Media, and a minor in Economics. She is the President of the Dean’s Undergraduate Advisory Board for the School of Economics and Business Administration, which consults regularly with SEBA faculty to improve programs and student experiences. Rachel has always had an appreciation for Special Olympics, which she volunteered with during her sophomore summer. Her passion for sports led her to work with the Oakland Raiders for the past three seasons where she has learned everything from fan experience to ticketing. She is currently interning for NBC Sports Bay Area where she is taking an active role and engaging the fans of bay area teams. Rachel has a hidden interest in video production and graphic design. She is also constantly searching for the best cup of coffee in the bay. After graduation, she hopes to either continue working with the Raiders, or pursue a career in marketing. Symone Williams is a junior at Saint Mary's College of Ca pursuing a double major in Justice, Community, Leadership and Sociology, with a minor in Law and Society, with anticipation of doubling with Theology. Within her college career, criminal justice reform has inspired her to intern at both Napa Juvenile and Adult Probation for two consecutive summer terms in 2016 and 2017. This summer, Symone will also be working alongside the chair of the Justice, Community, Leadership program as well as SMC faculty members in honoring a grant awarded to SMC by developing a new program, INSTEP, a special education teaching program which targets the needs of understaffed public schools in Contra Costa County. At SMC, Symone is guided by her passion for leadership. She has served as a senator of her class, and will now be taking on the role of Vice Chair for the Class of 2019. Symone is a member of the College Committee for Inclusive Excellence (CCIE) working alongside members of the administration such as the Chief Diversity Officer and the Provost. She is also Student Co-Chair of CCIE's subcommittee Black Lives Matter. Symone has been an active member of the Black Student Union where she serves on the executive council as the Diversity Organization Council Representative. Upon graduation, Symone will continue on to law school, in order to pursue her passion in the law, writing policies for criminal justice reform.